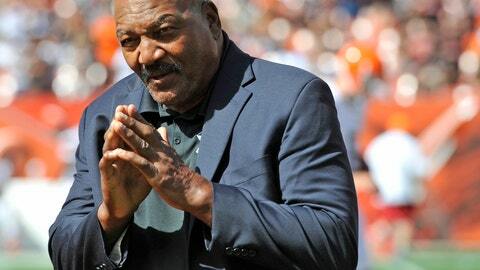 CLEVELAND (AP) — Jim Brown has spent much of his post-NFL career fighting for social justice and change. However, the Hall of Fame running back would never kneel during the national anthem. “I’ll never kneel and I will always respect the flag,” said Brown, who spoke before an HBO premiere of “Hard Knocks,” which is chronicling the Cleveland Browns in training camp. “I am not going to denigrate my flag and I’m going to stand for the national anthem. I’m fighting with all of my strength to make it a better country, but I don’t think that’s the issue. Because what is the top side? Are you not going to stand up? This is our country, man. The players’ union filed a grievance, and the change has been tabled while the NFL and NFLPA work on a resolution.